Happy Tuesday, loves! As I mentioned in my last post, I moved to San Antonio, TX last year. Well, today actually marks the one-year anniversary of my move, and this post, about moving to San Antonio, is one I’ve been working on for a while! Before we get into it, I just wanna say that there’s still a lot I am yet to explore about SA. This post is based on my experiences so far, and also a bit of research, i.e., talking to quite a few people who are from here or have moved here. I don’t intend to offend anyone with this post, and I certainly don’t want this to sound like a personal rant. So, I thought it’s only fair to actually talk to other people about their experiences before writing this post. I want this to be informational, and hopefully, something that’ll be of help to anyone moving to San Antonio, TX. San Antonio, TX is the 4th fastest growing city in the US (waaahhhhh!) and also the 7th biggest city in the US. Who’da thunk, huh! These are definitely things I didn’t know until I moved here. 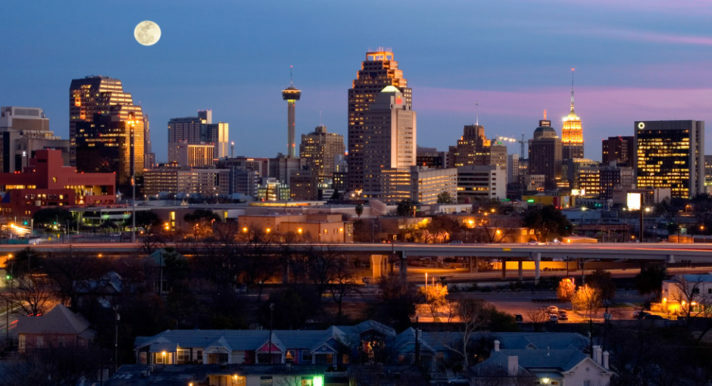 San Antonio is a lovely city, with lots to offer, and the people here are incredibly nice, but man it’s different from any other city I’ve ever lived in, and there are definitely things I wish I’d known before I moving to San Antonio. This is from the perspective of something who lived in the NY/NJ area. So, that’s something to take into consideration if you’re reading this. 1. Traffic: Believe it or not, this is a real thing in San Antonio. As someone who spent 15 years living in northern New Jersey, I didn’t even think about traffic when I moved to SA. Actually, I did. I thought how, at last, it’s going to be so nice to not have to deal with the insane traffic and horrible driving in northern NJ! How wrong I was. The traffic in San Antonio is horrific, especially during rush hour. Actually, really, any time of the day. Part of this has to do with the fact that this city is growing so quickly, and they don’t have the infrastructure to support everyone that’s moving here – probably something they didn’t anticipate. A lot of it, however, is also because most people in SA are not the best drivers. People (including big trucks or garbage trucks), nonchalantly going 30mph in the left lane, is the norm. You see, my apartment is 18 miles from my job, which I didn’t think would be a big deal, because it’s 20 mins (without traffic). However, in reality, my commute easily ends up being 45 mins, one-way! I honestly feel like “Congestion at Hildebrand” should be a permanent installation on 281! I think the important point here, for those considering a move to SA, is that this is most certainly something you should take into consideration when deciding where to live. 2. Weather: Ok, so I’m one of those people who doesn’t listen to/watch the news. However, I feel like if you have even a bit of a clue about what’s happening in the country, you’ve probably heard of all the relentless storms/flooding in TX. If I had a dime for every time someone has said to me – “It’s not usually like this. It never rains this much!”, regarding the weather in this past year …. well, you get the point. My response – “Lies! These are all misleading lies!”. The way I see it, San Antonio (or TX) has two types of weather – “hot AF” and “WTF is going on?” A lot of times, though, you get both of these together (yay!!). When I say WTF is going on, I mean things like hail the size of golf balls that gives birth to a huge, new business overnight – hail repair! In my 15 years of living in the northeast, I might have seen a hail storm once, and it was nothing like the one in SA. This hail storm happened back in April, (at $1.4 billion in losses, it was the costliest storm in TX history! ), and people are still driving around in cars with busted windshields and windows, and little “dimples” all over their cars. Many people still have leaking roofs, etc. I also recently learned that TX gets the most tornadoes of any state in the country! So, it’s humid like all the time. My point is – the insane TX weather is a REAL thing! Definitely something I wish I’d known before I moved here. 3. Allergies: Allergies are really bad in TX. Back in the northeast, I’d get them twice a year. Here, I feel like I’m always sick. As much as I hate the constant rain, if it doesn’t rain for a day or two, my allergies are back. I’ve talked to quite a few people who didn’t even have allergies until they moved here. 4. Indian Food: Ok, this is mostly a personal rant, but if you’re moving to San Antonio and you like Indian food, you better learn how to make it. There are zero good (or even decent) Indian restaurants in San Antonio. Surprisingly, not even Austin has a decent Indian restaurant. At least, not in my experience and I’ve tried a ton of em. So, if you know something different, please let me know! 5. Demographics/Diversity: This was probably the cause of the biggest cultural shock for me, when I moved to San Antonio. I’ve come across a few people who’ve recently moved here, and shared these sentiments/observations. Having lived in the northeast, for 15 years, I definitely took diversity for granted. There is a lack of diversity here. So, if that’s something that important to you, you should definitely make a note of this. It’s hardly an intentional thing – that’s just how it is! To their credit, San Antonio has pleasantly surprised me in terms of how much of an effort they always make to celebrate diversity. For instance, every year, San Antonio celebrates the Hindu festival, Diwali, on a grand scale! It’s the only city-sanctioned even of its kind, in the nation! There are tons of events, on a regular basis, that celebrate diversity, and educate San Antonions on various cultures and religions, which I think is incredible! Considering the rate at which SA is growing, and how welcoming and open minded the residents of this city are, I have no doubt that soon enough, SA will be able to boast about the diversity in the city! Another thing that’s been a culture shock for me – back home, being in your late 20s/early 30s and single is perfectly normal. You’d absolutely …. belong. However, down here, this makes you “unicorn status”, as my Lyft driver put it. People in their late 20s/early 30s have generally been married a decade (not an exaggeration) and probably have 2-4 kids (again, not an exaggeration). To be clear, I’m not judging this. I’m simply stating that this is the norm down here, and it was such a culture shock for me. If you’re an introvert, none of this would bother you much. If, however, you’re an extrovert like me, this could be a tough adjustment. I’ve had a hard time meeting people I have much in common with. Or even just people I can go out and grab a bite to eat with, or a drink with, on a Friday night. If you have any tips on how I can meet other “unicorns” in San Antonio, please let me know! 6. Travel: This is something that’s been particularly frustrating for me, because I love to travel. It is extremely difficult to travel in and out of San Antonio, because it’s such a small airport. When I say difficult, I’m not talking about things like delays/cancellations, etc. I’m talking about things like cost, flight availability, and travel time. For instance, I’m going to Cancun, Mexico next week, and you’d think that should be a super affordable, direct flight from SA, right? Wrong! There are no direct flights. At least, not unless I wanna spend $700-$800+! Even flights that were 9-10hrs one-way were no cheaper than $350-$400, for a Wednesday-Sunday itinerary! Eventually, I found an affordable flight, but it’s 6 hours to Cancun, and my only option was an 8pm flight that arrives in Cancun at 2am. On my way back, my flight is 9 hours. So, I’m spending all of Sunday traveling back. In fact, it’s virtually impossible to find a non-stop flight anywhere, unless you’re willing to spend a ridiculous amount of money. Whenever I wanna fly home, my flight is no less than $400, and it’s never direct. If you’ll be making frequent trips to Chicago, however, you’re in luck. It’s one of the very few places where you can find a relatively affordable, direct flight, from San Antonio. Unless, of course, you want to spend $300 and fly to Houston or Dallas. Those are your other options for a direct flight. I sincerely hope that this is something the city of San Antonio is working actively to improve on. That being said, there are so many things I’ve learned since moving to San Antonio, that I love about this city. I’m working on a separate post on that, and can’t wait to share it with y’all! Be sure to follow me along on Instagram and Snapchat (username: dhruvibaby) – I’m constantly sharing new places I discover, as I explore more of San Antonio.